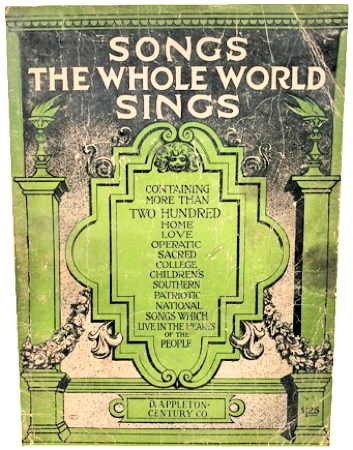 Information: Albert Wier, author of songbooks and Victor phonograph discographies. Wier, Albert E., The Victor rapid record selector, containing interesting non-technical information regarding more than 2500 standard Victor records, compiled by Albert E. Wier. New York: D. Appleton, 1916, 255p. (OCLC 17467545). 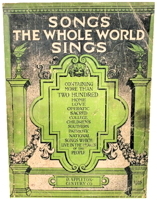 Wier, Albert E., Songs the whole world sings, containing more than 200 songs which are dear to the hearts of young and old in every nation. New York: Broadcast Music, Inc., 1944, 254 p. (OCLC 1355605, Wier has 33 music books in OCLC other than these 2).